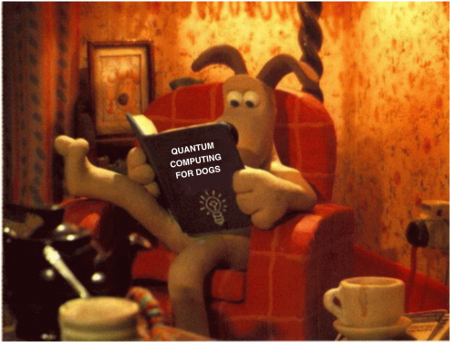 Pretty much anything with the word “Quantum” in it sounds mysterious and unknowable but quantum computing is, in fact a reality. So much so that even Google develops on of them. The computer or smart phone you use now is capable of very fast computations using a binary system of storing information as a series of ones and zeros. However, while this system is scalable, it can only grow linearly. The new iOS7 – Has Apple Replied on Copying Google’s Android OS? There are several different options out there when it comes to a mobile device that users can take with them every where they go, but with that comes learning about all of the different mobile operating systems with users choosing their favorite. Of the top mobile operating systems out there, there is Google's Android OS and Apple's iOS. However, Apple just had their WWDC developer expo earlier in June and unveiled the brand new iOS 7 and some people weren't all that impressed. What exactly happened? When iOS 7 was shown off at WWDC, it was apparent that Apple did a major overhaul on the aesthetic of the entire mobile operating system, on top of adding new features. However, this major overhaul had some mobile enthusiasts experiencing deja vu--this is because many users believe that Apple took a lot of inspiration from Android, some even accusing Apple of copying certain aspects entirely. But, do these claims have any truth behind them? In today's fast-paced world, consumers have come to expect nearly instantaneous results when loading websites - whether from their desktop computers, or their mobile devices. Because of this, it's imperative that businesses who used the web are able to keep up with customer demands. But how can you be certain that your internal server, website, and mobile applications are all functioning quickly and correctly? Your in-house IT department may be able to keep an eye on non-specialized issues during their scheduled shifts, but what about during off-hours? 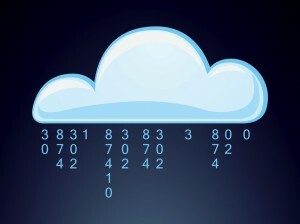 This is where cloud monitoring comes into play. In this post, we will explore the capabilities of cloud monitoring, and how it could significantly improve your business - and your bottom line. So what is "The Cloud"? A recent study completed by Wakefield Research revealed that while 54% of Americans claim that they've never used the cloud, making it seem very intimidating and futuristic. In reality, 95% of those same individuals use the cloud daily for online banking, shopping , email, and more. Booking a vacation is now easier than ever – Internet allows you to do it any time of the day or night, compare choices and then make an informed decision, and most importantly – sort out the vacation instantly and hassle-free. You no longer have to physically go from one travel agency to another, coordinate your schedule with their business hours, gather paper brochures and spend days or even months choosing your destination. As time is the most precious asset to anyone today, online businesses – if managed properly – are the biggest time-saver for users. And when we say “if managed properly”, we mean websites that in addition to having a great design, useful and regularly updated content and are user-friendly, are also up and running 24/7. Needless to say, if a website with sharp design and content is slow or down, it is of absolutely no use to anyone, and it could spoil the users’ experience to such an extent that they may never come back to it. Congratulations to Elisabeth Good, who is the winner of our Samsung Galaxy Tab 2 giveaway. Elisabeth is from Carrollton, Georgia and found about our giveaway via slickdeals.net. She enjoys reading about health and nutrition, and spends way too much time on Pinterest! Elisabeth also loves to read ramshackleglam.com/blog and look for deals online. As she normally spends at least 2 hours a day browsing the Internet, it’s important to her for websites to load fast.